The group is a 12 member ensemble with a horn session of 5 instruments. 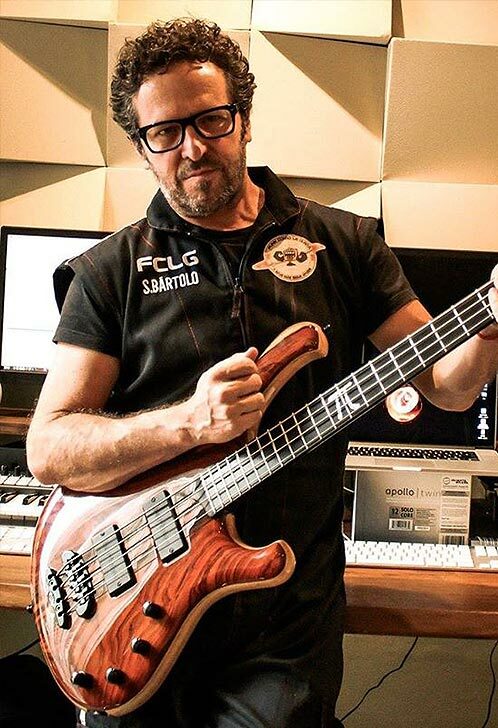 Bartolo is also the producer of the group’s 5 albums.He’s also the bass player for the band Karnak. With FCLG he played with some of Brazil’s most regarded musicians like João Donato, Chico Science, Paulo Moura, Armandinho, Elza Soares, Jorge Benjor, Claudio Zoli and many others… They have been playing and recording for the past 15 years in Brazil. They are constant guests in some music festivals in Europe as well. A very groovy player, Sergio keeps the group’s groove with punch and clarity. He’s a 4 strings player that brings influences from Motown, Jazz and Blues. Sergio Bartolo is an official endorser for Mayones in Brazil.